Tim Credible (VIC) - Magic Unlimited! Tim Credible is the alter-ego of professional magician and magic shop owner Tim You. Tim combines his love of sleight of hand with his natural appeal sense of fun to create a larger than life magical character. 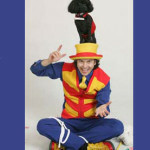 CHILDREN’S SHOWS – AND WORKSHOPS! 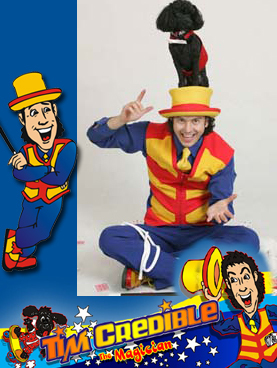 Tim Credible the Magician performs a dynamic magic show that adapts fantastically for children aged 3 & over! Tim Credible’s bright, friendly costume and comic style often prompts children to ask if he is a clown or a magician. One thing is for sure: your child’s birthday party with Tim Credible will be a joyful and magical experience! Tim Credible the Magician starts the show clowning around with some funny hat juggling that gets the kids involved and laughing. 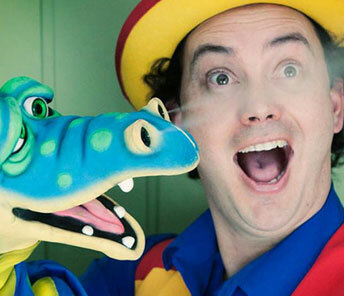 Once the children are relaxed and ready to go, Tim Credible performs a magic show filled with dazzling illusions that will have the whole family enthralled. 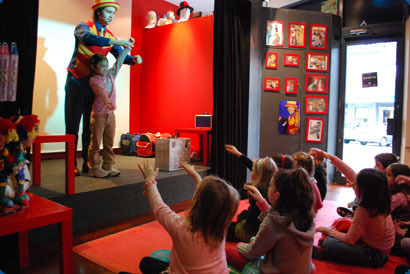 The magic that Tim Credible the Magician performs is chosen specifically to be colourful and visual for younger audiences, and baffling for audience members of all ages. After all, Tim Credible the Magician runs his own magic shop, magic school and birthday party venue! The magic show is full comedy and audience participation. Tim Credible the Magician makes sure the birthday child has the opportunity to be the star of the show, making it a truly memorable event for everyone. Tim Credible’s magic show also includes astonishingly lifelike puppetry. 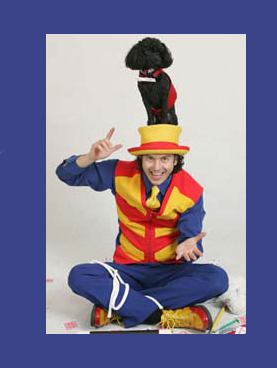 Next up is Tim Credible’s friendly clown dog “Ace”, a toy poodle with oodles of energy and a cheeky playful nature. He performs tricks and dances to music as the kids clap, cheer and laugh. The birthday child can get on stage with Ace to be part of the act. At the end of the magic show Ace makes himself available to kids for a high five and a pat. Ace is one cool party animal! The birthday child receives a special balloon sculpture and each of the kids receive a balloon animal. The balloon animals are created with their own unique little story to keep the children captivated. PLUS Tim Credible has his own magic shop/cafe with a party theatre inside! You can have your party fully catered at his place! 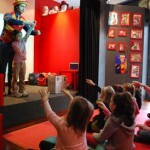 Tim also offers a MAGIC WORKSHOP which can be added to his MAGIC SHOW as a package.